Depicted in fiery red, this iron sculpture of a stallion perfectly captures the strength and power of this magnificent creature. Shown rearing on its hind legs, this sheet metal horse sculpture is an eye-catching piece of abstract art that will bring modern design appeal to the home. 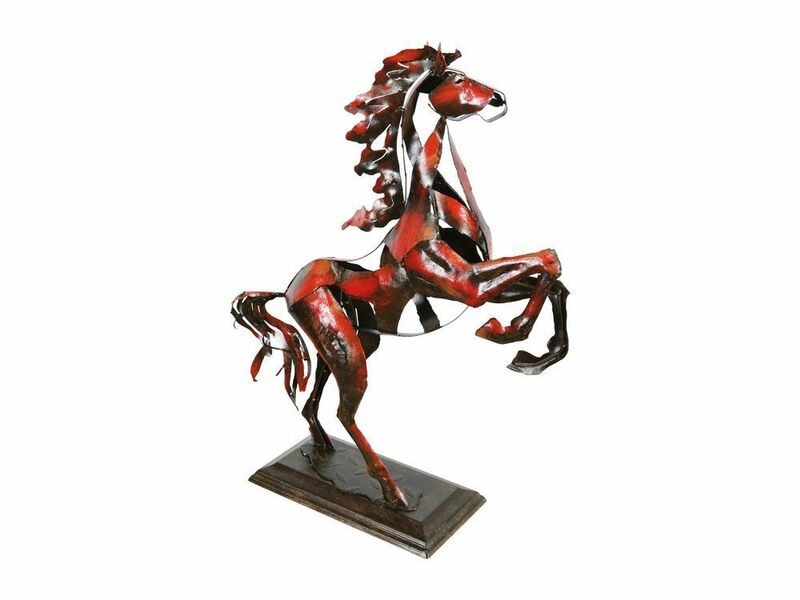 The strips of reclaimed metal in reddy rusty tones convey the proud stallion's toned muscles, mounted on a heavy, stepped iron base. Standing over half-a-metre tall, this powerful metal horse metal ornament of a commands attention.